I read this article and found it very interesting, thought it might be something for you. 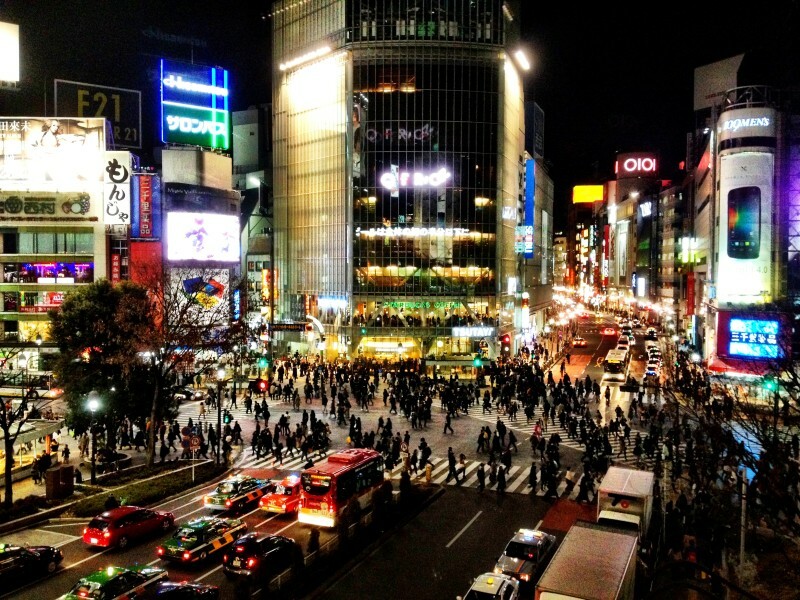 The article is called How to spend three days in Tokyo: Tokyo itinerary and is located at http://trip-n-travel.com/listicle/4216/. 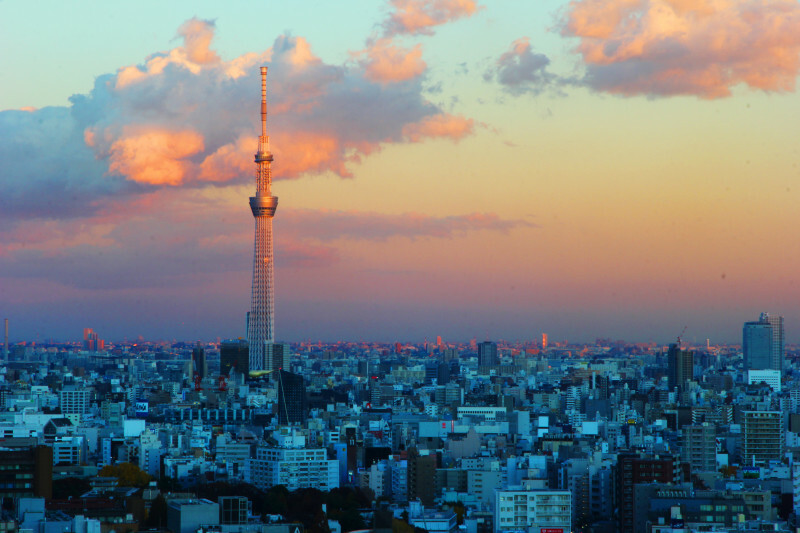 Tokyo, being the capital, has many attractions that are hard to pass by in just three days. But visiting the most important ones is possible in this time span. 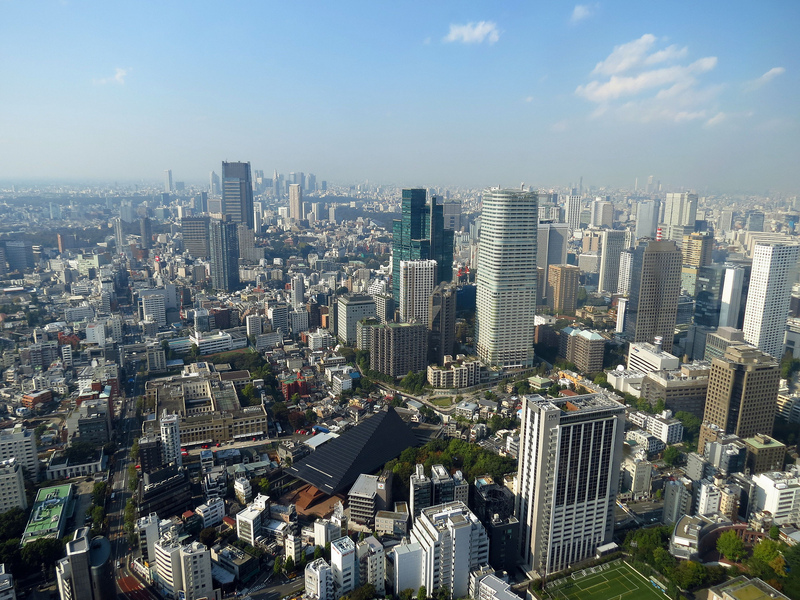 Check out this itinerary that includes most of Tokyo’s famous touristic spots! 1. Arrive and check-in at the hotel or wherever you choose to stay. Rest for a bit if you are tired. 2. Buy a snack to eat on the way or have a proper meal at a restaurant. 3. Visit Tokyo Sky Tree. 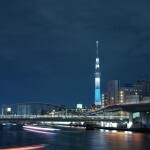 Tokyo Sky Tree is the tallest tower in the world and the second tallest structure. It is so tall that the top is sometimes engulfed in clouds. It has several shops, restaurants, a museum, an aquarium and even a planetarium. Merchandise representing the tower are sold in the shops, like pens, plushies, keychains and cookies. You can shop around or go straight up to the observatory and enjoy the panoramic view of the city. It can be reached in a 30 minute walk and you also get to see the beautiful Sumida River. Sumida is 27 kilometers in length and has 26 bridges that cross it, each standing at about one kilometer from the other. There is also an attractive small park next to the river in front of Asakusa Station, which is a popular cherry blossom viewing spot during spring. If traveling in summer, you can be lucky to come across a firework festival. Sensoji is a Buddhist Temple consisting of the main hall and a five stories pagoda. 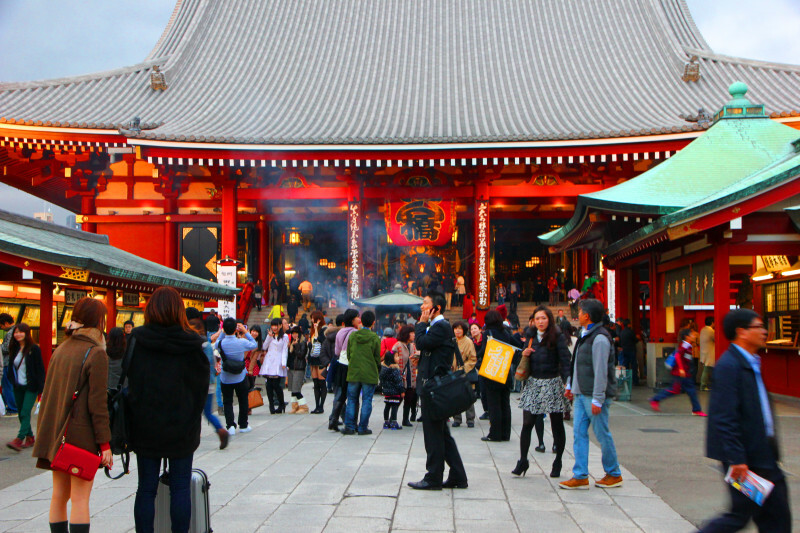 It is one of the most visited temples in Tokyo and a lot of festivals are being organized here. 6. Check out the souvenir shops in the Nakamise. Nakamise is a long shopping street in front of Sensoji. 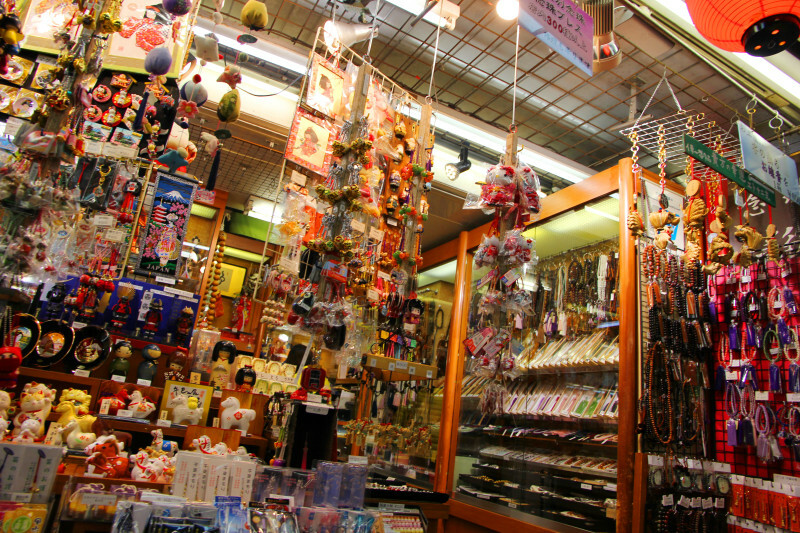 You can find almost everything, from delicious snacks and Japanese sweets to all kinds of souvenirs. 7. Go back to the Sumida River and take the Himiko water bus to Odaiba. Odaiba Seaside Park is one of the most beautiful places in Tokyo. 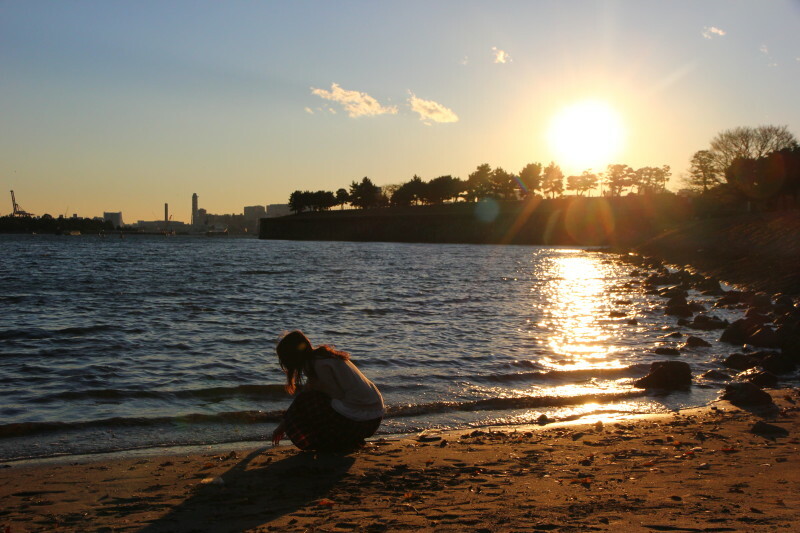 The park has three sections: one with alleys that go along the water, a sandy beach one and a separate little park that has panoramic views of Tokyo Bay. 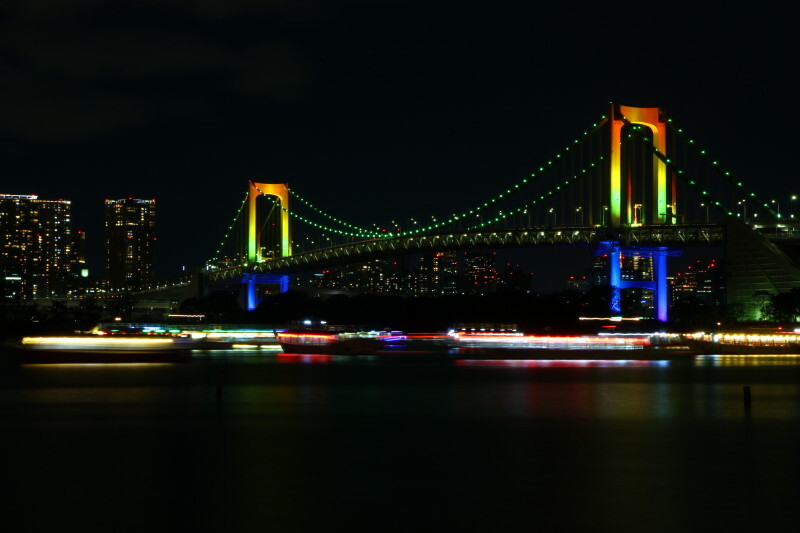 You can choose to stay on the beach and look at Rainbow Bridge, Tokyo Tower and the multitude of skyscrapers or go to the small separate park which offers views of Fuji TV, the malls in Odaiba and the Daikanransha Ferris Wheel. 9. Have dinner at one of the many malls in the area or at one of the restaurants at the beach. 10. Go back to the hotel and rest! 1. 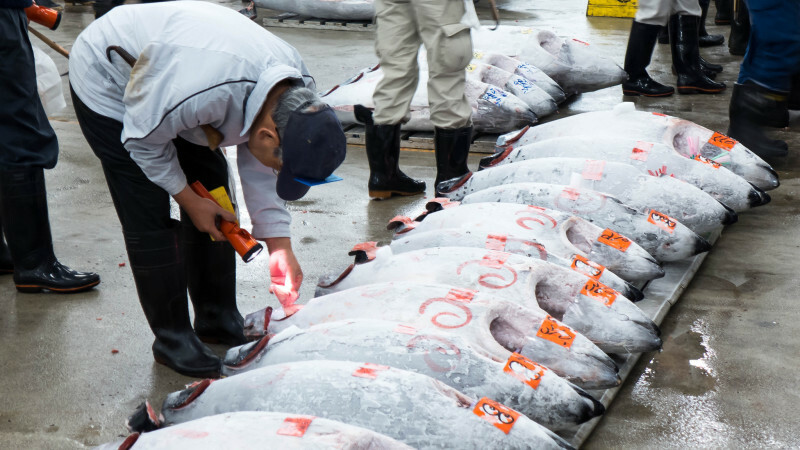 Get up very early and go see a tuna auction at the famous Tsukiji Market. 2. There are also a few restaurants inside the market so you can have breakfast there. 3. 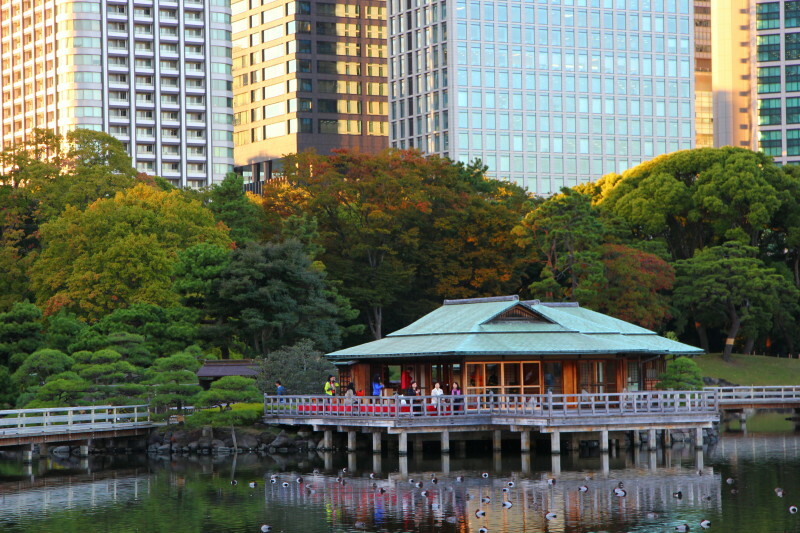 Walk to Hama Rikyu that is a 10 minute walk away and visit the garden. Hama Rikyu is a garden with traditional Japanese landscape. You can see a big pond with koi fishes, a teahouse and various trees, flowers, bushes and shrubs. 4. Take the train from the Shinbashi Station on the Yamanote Line and get off at Akihabara Station. Visit the otaku centered district. Akihabara is a shopping area famous for otaku related goods such as computer games, anime and manga merchandise. The neighborhood is also well known for its maid cafes. A maid cafe is a special establishment where girls dresses as maids treat you like a master/mistress. 5. 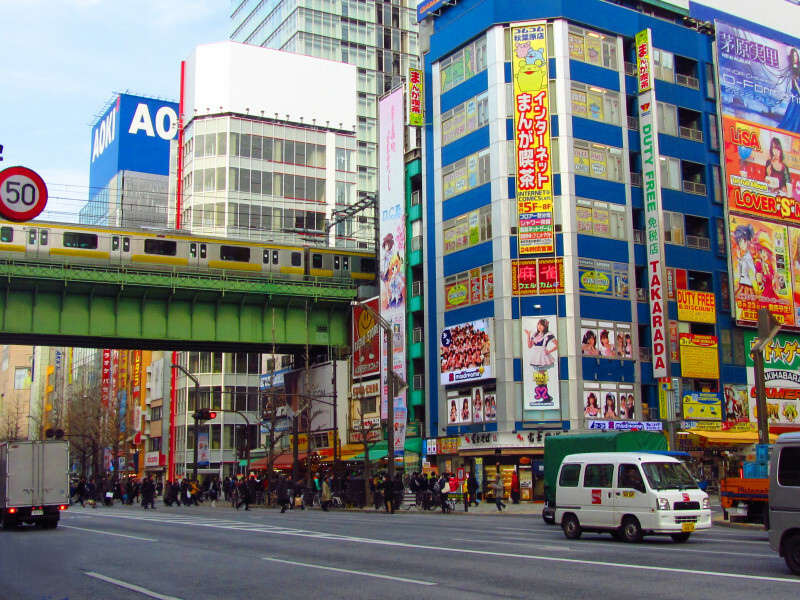 Walk to Ueno Station which is a 30 minute walk away from Akihabara. 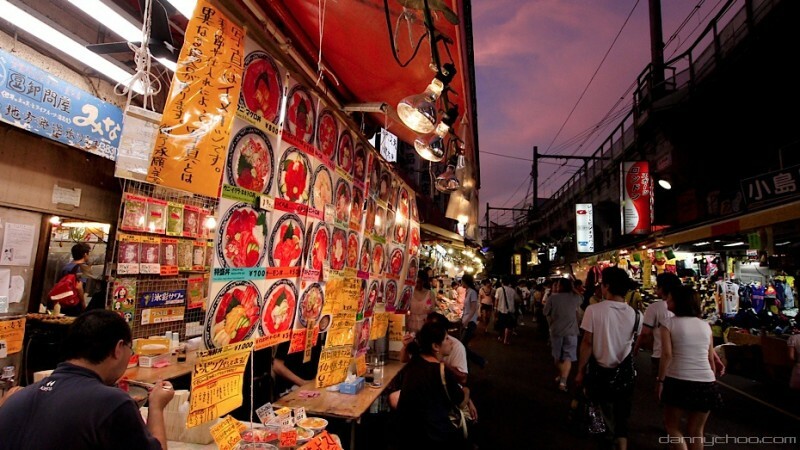 Visit Ameyoko Market, a street lined with shops that sell fresh foods and a few restaurants. 6. Have dinner at Ameyoko. 7. Go back to the hotel and rest! 1. Have breakfast either at the place you’re staying, at a restaurant or buy a snack. 2. Go to Yoyogi Park. 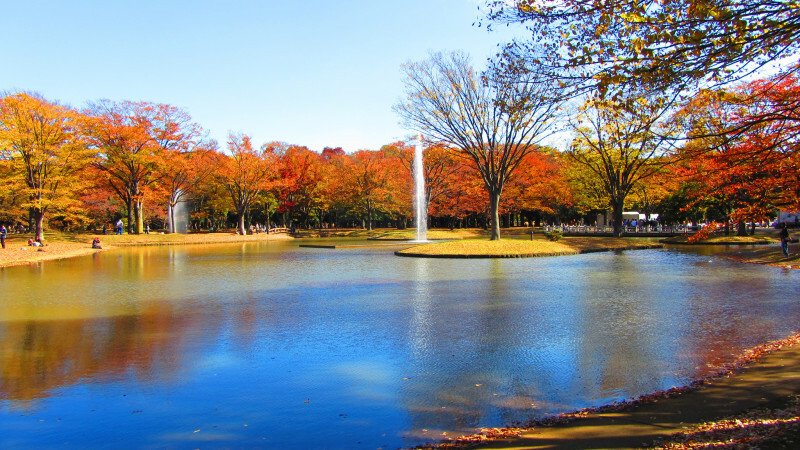 Enjoy a walk in one of the biggest parks in Tokyo. You can find more about interesting Japanese subcultures as the park is a meeting place for new bands, cosplayers, comedians, jugglers and other hobby groups. 3. Walk to Harajuku, which is one the eastern side of the park. 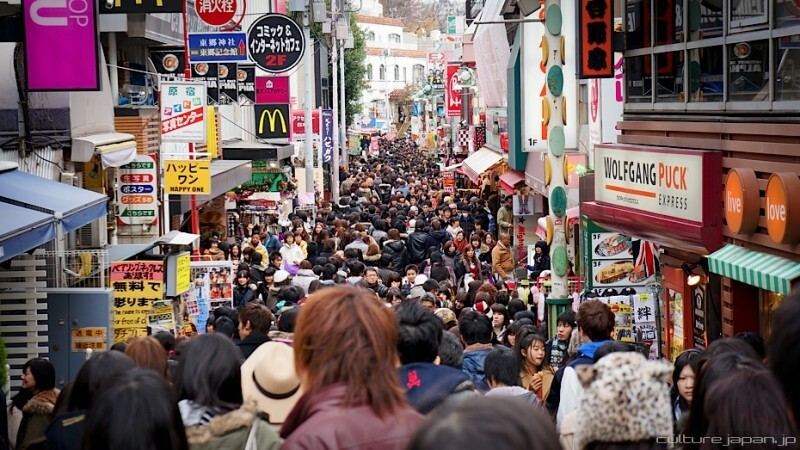 Visit Takeshita Doori and all its unique shops. Harajuku and Takeshita Doori are the center of fashion, with many girls and boys that dress differently from the norm. You can see various clothing styles and also can buy amazing clothes and accessories from the shops that line the streets. 4. 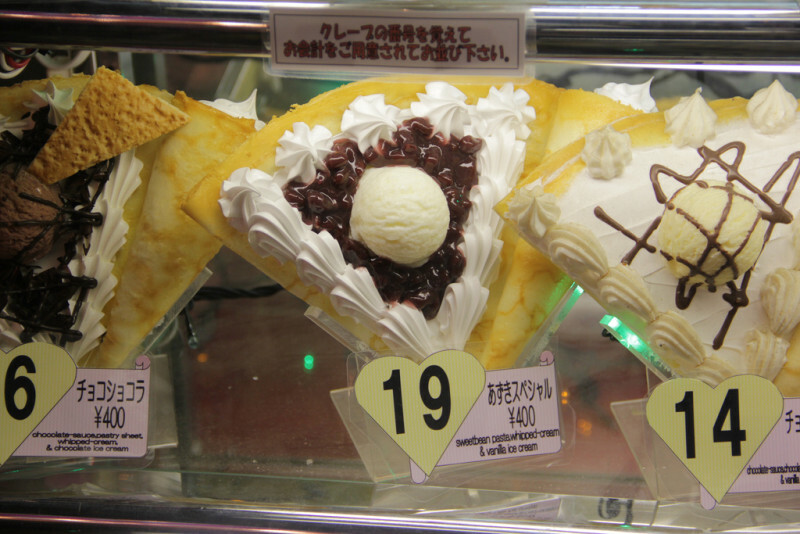 Eat some Harajuku crepes that are said to be the most delicious crepes in Japan! 5. Walk to Shibuya, which is a 30 minute walk from Harajuku. A good way to see more of the city! 6. 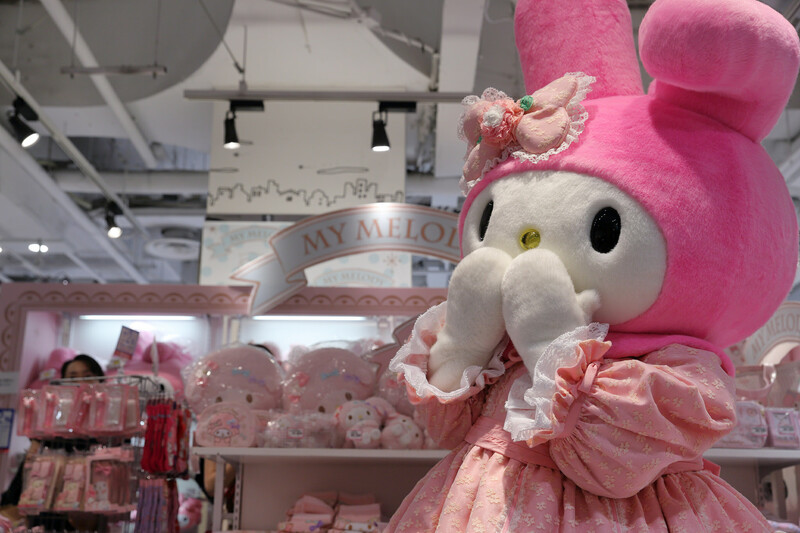 Enjoy the flashy building commercials and visit some of the biggest malls in Japan. 7. 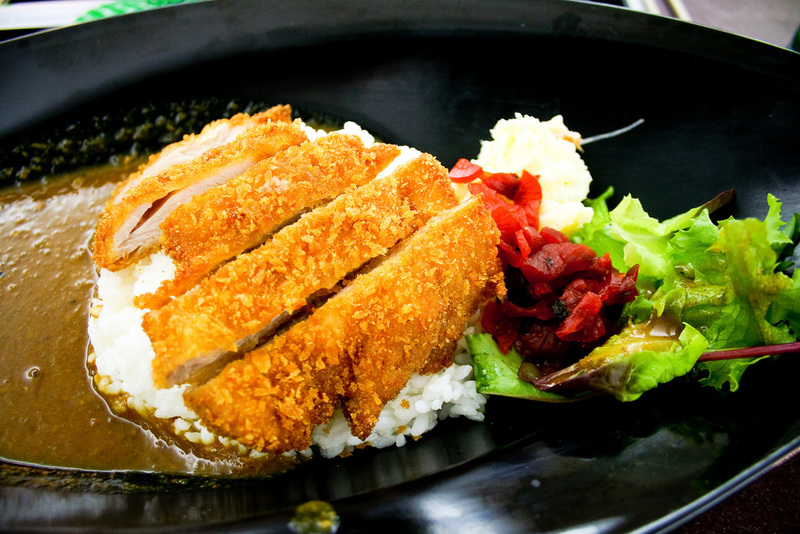 Have dinner at one of the many restaurants in the area. 8. Go to Shibuya Station and see the Shibuya crossing and Hachiko’s statue. The crossing in Shibuya is famous for allowing pedestrians to cross in all direction at the same time, even diagonally. It is one of the busiest crossings in the world. Just a few steps away stands Hachiko, a statue made in the memory of a dog that waited for its owner in front of Shibuya Station many years after his death. 9. Get your luggage and embark on the train to the next city! 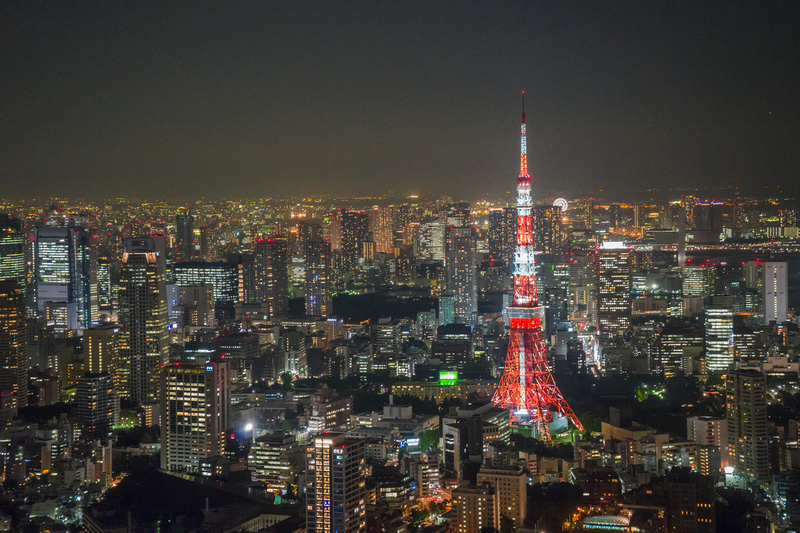 We hope you enjoy the amazing capital of Japan! Have a good trip and travel!